Kitchens are the heart of every home. Your dream kitchen is welcoming and warm. It’s also functional and easy to maintain. Whether you’re a world class chef and entertainer or more inclined to simplicity, you need a mix of style and substance. 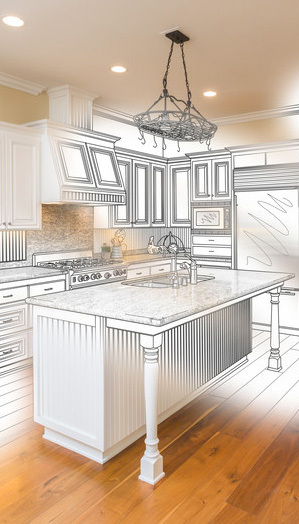 Our mission at Christie’s Kitchen & Bath is to help you design your ideal kitchen. We’ll find a way to reflect your personality and lifestyle together. We owe our success to our skilled, professional employees. Our team provides the highest level of service from the design consultation through the end of your project. We understand the importance of spending time to listen to our clients. We’ll focus on this before assembling your design palette. Additionally, we acquired a tremendous wealth of knowledge about the industry through on-site experience with cabinets and home remodeling. 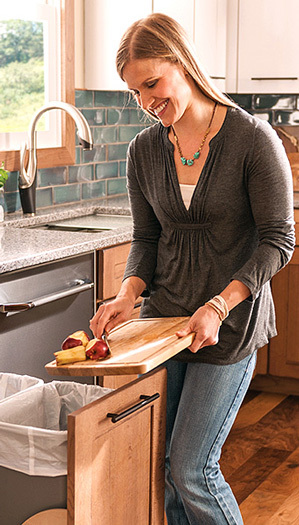 When all these factors come together, they create the perfect kitchen. Let us guide you through the incredible kitchen and bath options you can choose from. Comprehensive kitchen design services involve the client at every turn. Our experienced designers will host a full in-person consultation to discuss your options. We know the right questions to ask to determine what isn’t working for you in your current kitchen. Additionally, we can recommend specific elements you can include to realize the kitchen or bath of your dreams. We have the ability and resources to achieve your vision. Whether you’re dreaming of a traditional, transitional, or modern look, the experts at Christie’s have you covered. If you’re unsure, let our design service team help you find your perfect style. We’ll guide you to a choice you’ll love for years to come.